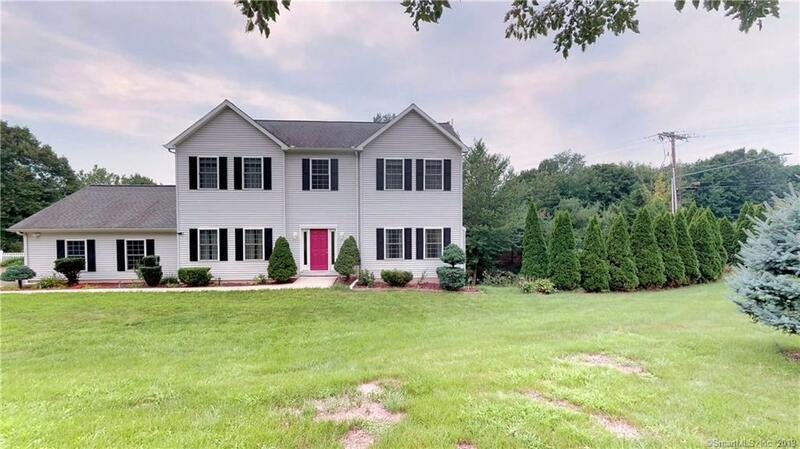 Wonderful newer colonial is move in ready. This large home features 4 bedrooms, 2 and one half baths, and a 2 car garage. The large open kitchen features hardwood floors, a dining area, and sliders that lead to a nice deck. There is a separate dining room also with hardwood floors. The main floor also has a family room off the kitchen and a living room with a fireplace off the dining room. There is also a half bath conveniently located on the main level. The upper level has a fabulous master suite with tray ceiling, walk in closet, and full master bath with jetted tub. There are 3 other generous size bedrooms and another full bath on the upper level. The laundry room is conveniently located on this level. The full unfinished basement features slider to the outside. The tall ceiling would make it easy to finish for extra space in the future. Large lot is nicely landscaped and plenty of room for outdoor activities. This house has so much to offer. Come take a look and make this home yours. So much house for a great price!